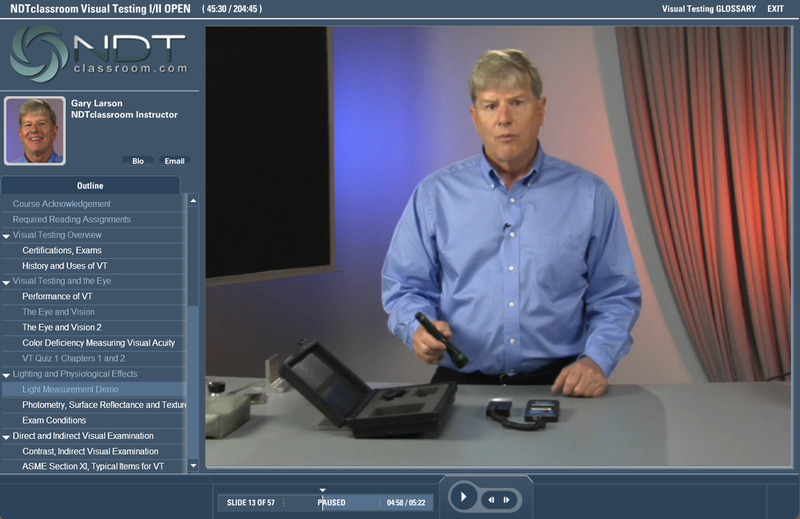 Because Visual Testing (VT) is the oldest and most widely used nondestructive test method, this online course is appropriate for individuals with little or no inspection training. This course, taught by industry expert Gary Larson, is highly recommended for those planning to take other NDT courses or for personnel who are planning to become certified in VT. It is an ideal course to begin one’s career in NDT.